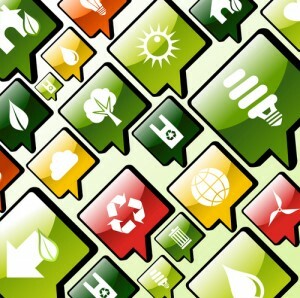 As part of our support for Big Energy Saving week here is the first of our guest posts, with Priti from Ecopreneurist starting off the week sharing her recommended sustainable green apps. 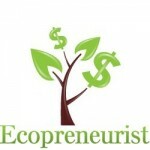 Priti is the Site Director at Ecopreneurist, a premier blog for and about social/environmental enterprises, start-ups and green businesses. She is a sustainability consultant at GreenDen Consultancy – and advises on business sustainability and corporate social responsibility. Priti enjoys the outdoors, traveling and racquet sports. She is a Food Network junkie and a self-proclaimed foodie! Saving money, energy and the planet while leading more healthier and happier lives could not be more interrelated. But did you know that your smart phone can help make doing all of the above fun, easy and effective? Here are a few apps that can help you save money, energy and live a healthier life. 1) greenMeter: Fuel savings on the road. greenMeter is an app you can download on your iPhone and use like you would use a GPS device while driving. greenMeter’s sensors computes your vehicle’s power and fuel usage characteristics and evaluates your driving to increase efficiency, reduce fuel consumption in real-time. It is common knowledge that smoother driving with gradual acceleration, breaking and maintaining lower speeds can help you save money on gas and lower your footprint. JouleBug is a free iPhone app that helps you cut out energy waste and save more than $200 a year. JouleBug was designed to encourage sustainable living through gaming and social interaction making it fun and simple! You are awarded points for sustainable actions and can compete with your friends and communities through a points system and a leader-board. With this app you can also connect to your usage data through your utility company and see the impact of behavioral changes on your electric bill. 3) Carpooling UK: Share your ride, save money, and gas. The Carpooling app, allows users to arrange car shares from anywhere at any time through Android devices, makes it even easier for users to find a carpool on the go. The app instantly connects people who need rides with local drivers who are available and willing to give rides around town. It is cost-effective, eco-conscious, reliable and fun! The app includes the popular carpooling.co.uk booking system, which allows people to literally book a seat in a carpool and even provides the opportunity to pay for rides online through the app using PayPal accounts. Carpooling to work could be a no-brainer to many, but with these apps prove that sharing a ride long distance is becoming popular too. The site is available in 7 languages and 9 local platforms, including: Germany, France, Italy, Greece, Poland, the UK, Austria, Switzerland, and Spain. airbnb is a community for people to find accommodations – worldwide! airbnb is a trusted community marketplace for people to list, discover, and book unique accommodations around the world – online or from a mobile phone. If you are a renter, you can get a room for less, stay with locals and even find an exotic boutique rental. If you are listing your space, this is a great way to earn a buck. airbnb offers a variety of tools where both parties feel secure and safe with the arrangement. Join thousands of satisfied travelers around the world who choose airbnb when they travel. Want an easy-to-use product guide for eco-purchase? Confused with the thousands of products that all promise to be the greenest in the market? You are not alone, but GoodGuide is here with a product rating system that is clear and easy to understand. For each product you can see a score that tell you how it performs for your health, environment and society. You can see ratings for thousands of consumer products from personal care products, appliances and even cars. With GoodGuide quickly scan a bar code to evaluate a product at home or at a store. The Do It Gorgeously app is a series of How to videos by Sophie Uliano, the New York Times Best Selling author of “Gorgeously Green”. This app offers ways you can update your beauty regime, detox your homes and lives. These simple to follow videos will show you how to make everything in a non toxic manner from beauty products to organic doggy treats and baby bubble bath. Perform your own quick or detailed energy analysis with no prior technical experience. Get heating, cooling, lighting, hot water and appliance energy consumption break downs with yearly cost estimates and CO2 emission estimates. Upgrade and retrofit suggestions include yearly savings, economic projections, payback period and information about various energy-saving alternatives. One cannot say enough good things about eating local and in-season produce. By eating local, you can ensure you are eating the freshest possible food and lowering your energy and environmental footprint from shipping food hundreds of miles. By eating in-season, you are choosing the best food that are naturally suited for that time of the year, supporting better well-being by warding off common health ailments. Locavore is the easiest way to find local, in-season food, find nearby farmers’ markets & farms that sell the products you love. You can also discover seasonal recipes. We hope you found the above apps interesting and useful. Are there any other green apps you love? Please share them via a comment. We would to hear from you.